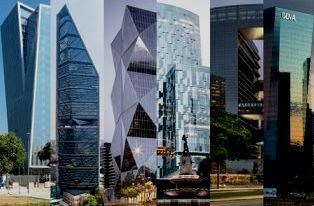 To find out which skyscraper was the best new one in Latin America in 2016, SkyHighCity asked her Latino members to come up with eight ones which they like best, to have all of their members take a vote on which one was best of all. Both Mexico City and Sao Paulo had two horses in the race, so these were lined up to find out which one was the local champ, being WTorre Morumbi in Sao Paulo and Torre Reforma in Mexico City. The latter went on to take the overall Latino trophy after taking out the BBVA in Buenos Aires. Felicitaciones a todos! Seven new skyscrapers by architects including French architect Jean Nouvel and British designer Norman Foster have been proposed for the La Défense district of Paris, as part of an attempt to woo businesses from post-Brexit London. The family of skyscrapers was announced by French presidential candidate Emmanuel Macron during a visit to London last week, as part of a new marketing campaign for Paris’ La Défense district. Macron said the towers would cater to bankers, academics and researchers who might be forced to decamp from London to the Paris business district following the UK’s exit from the European Union. 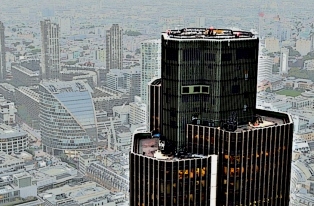 The seven skyscrapers named Trinity, Alto, M2, Hekla, Sisters, Air 2 and Hermitage will be located in the business district – where 40 per cent of workers are said to be employed by overseas companies. Het is weer de hoogste tijd voor een overzicht van alle grote bouwprojecten en hoogbouw in Rotterdam. Na jaren plannen maken gaat nu het ene na het andere project in aanbouw! RTM XL houdt de ontwikkelingen in de gaten. 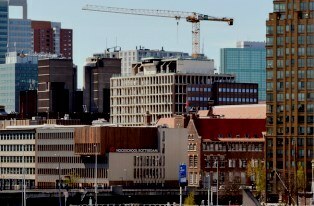 In dit overzicht alle grote nieuwbouwprojecten en één hoge herontwikkeling. 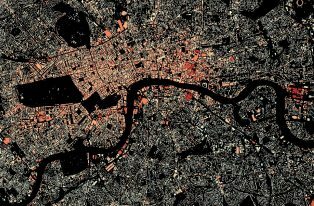 Colourful images show the heights and density of buildings in different cities around England. Taken from a new interactive map produced by Emu Analytics, they are created using Environment Agency LiDAR data, an airborne mapping technique. Data was only available for England. New York’s skyscrapers are taller and skinnier than ever before: New York’s Skyscraper Museum has released an online tool that tracks the growing number of skinny towers in the city. 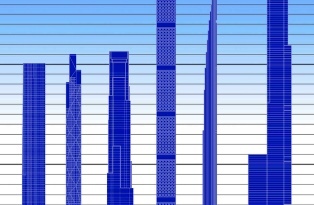 The interactive chart compares the heights and silhouettes of 18 so-called “super-slenders” now complete or under construction in New York. Many of these measure well over 1,000 feet (305 metres), and some have ratios of base-width to height as extreme as 1:23. The new towers are taller and skinnier than their precedents. The benefit is a whole new fascinating crop of individualistic towers on New York’s evolving skyline. Skyscraper Museum chronicles explosion of “super-slender” towers in New York“. 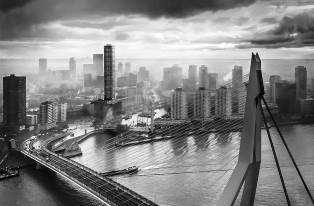 Voor de komende tien jaar staan er 25 woontorens op de bouwagenda van Rotterdam. Waarom is de Maasstad zo gewild voor hoogbouw en in welke gebieden gaan deze torens komen? Niet iedereen is blij met deze ontwikkeling maar met de groeiende druk op de binnenstad is hoogbouw de oplossing om iedereen een plek te geven. Studiogasten: Erik Faber, partner bij Fakton en zit in het bestuur van Stichting Hoogbouw, Emiel Arends, stedenbouwkundige bij Stadsontwikkeling Rotterdam en Wilco van den Ban, directeur bij gebieds- en vastgoedontwikkelaar AM en betrokken bij een groot aantal hoogbouwprojecten in Rotterdam. From tenements to today’s skyscrapers, adequate light and air are essential to a livable New York. The city’s first zoning code enshrined access to these elements, and now, with supertalls ringing Central Park and cropping up in downtown Brooklyn, sunlight and fresh air are again central considerations in debates around the city’s current and future form. 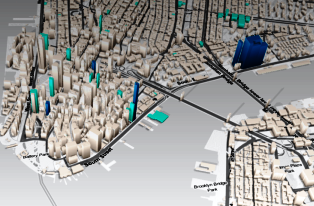 To keep tabs on the dizzying array of new construction (supertall and less so) in New York, DNAinfo has put together an interactive 3D map that lets residents track development in their neighborhoods. These are the tallest buildings in London in order of height, with explanations of both the official names and nicknames. Not included the numerous towers that are under construction or in the planning system. 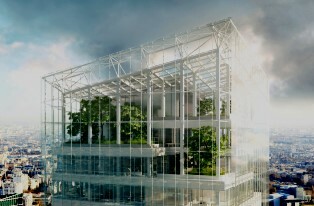 In a world of ever-reducing space, a skyscraper is an efficient way to create homes and offices without too large a footprint. It is interesting, then, that so many skyscrapers are full of hot air. In the race for the biggest buildings, architects have fallen back on antennae and pointed spires – with the result that skyscrapers are not so much efficient uses of space, but overblown vanity projects. Take the world’s tallest building, the Burj Khalifa in Dubai. It’s impressive at 828 metres tall, but nearly a third of that (29%) is unoccupiable, according to the Council on Tall Buildings and Urban Habitat. The Burj al Arab, also in Dubai, is much worse in this respect, with 39% of the entire building unusable. 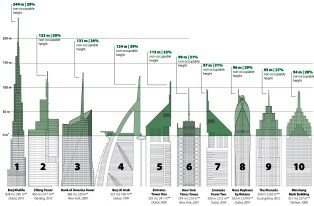 In fact, Dubai has five towers listed as the tallest buildings in “vanity height” – unusable height for the sake of it. Across these five, some 31% of total space is completely wasted.